There’s not much more to say other than that we thoroughly despise typos, as they momentarily jerk us out of the reader’s trance not only necessary to a fictional story but to any writing; in order to fully sink into the manuscript, we want reassurance that the author is truly in command of every mark on the page. To my chagrin I generate some of my worst typos when editing a final manuscript. I won’t say in which of my novels my worst typo appears, but it’s enough to mention that in desiring to make “The gravity was astounding strong” into a pithier statement, I merely lopped off the fifth word without noticing I needed to change the fourth, to come up with: “The gravity was astoundingly.” And of course a sharp-eyed reader caught that after publication. There are numerous recommended methods for self-editing and proofing, including reading the manuscript backwards and reading it aloud. Sometimes I’ll read sections aloud, but I’ve never tried that for an entire novel. Just now I took the manuscript of my unpublished novel Jump Grenade and sorted it in ascending order, to get an amusingly random succession of paragraphs. That may be worth looking into as a proofing method. 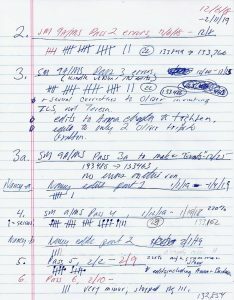 But the main topic of this post is the image of the Sortmind proofing hash marks before publication. I really wanted to find errors, and as you can see my beta reader and I found more than I would have assumed. Most were fairly minor, but I often made a little dot on the mark to indicate an astoundingly groaner. 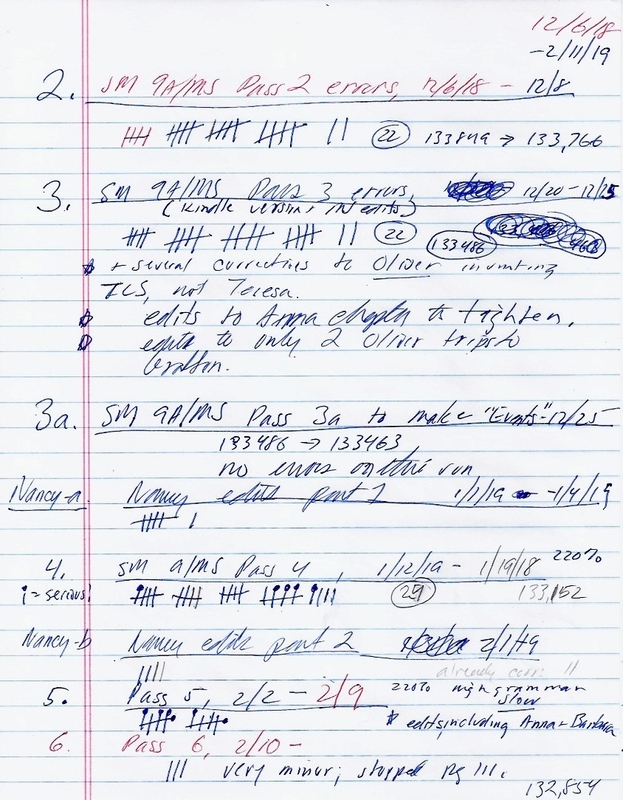 During the passes I variously made an eBook of the draft to experience the text in a different mode, turned grammar check pitifully high, and magnified the text to 220% to slow myself down. But at some point you just have to let it slip into the world. 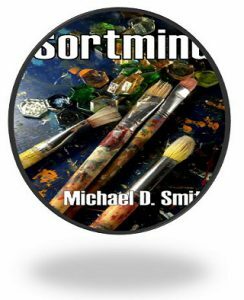 I hope there are no blunders in Sortmind, and if anyone finds them in any degree, please let me know, for in having Total Artistic and Publishing Control I can always issue a second edition. Sharp-Eyed Reader’s website – Thank you, Faith!